Learn to surf off the shores of Kaanapali Beach or scuba dive the waters of Maui’s famous beaches. Want to learn how to surf? Go on a scuba diving tour? 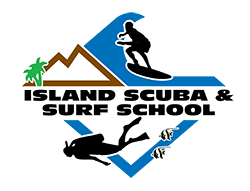 Island Scuba and Surf School offers both! Reserve online today! Fun, safe, and exciting dive instruction. 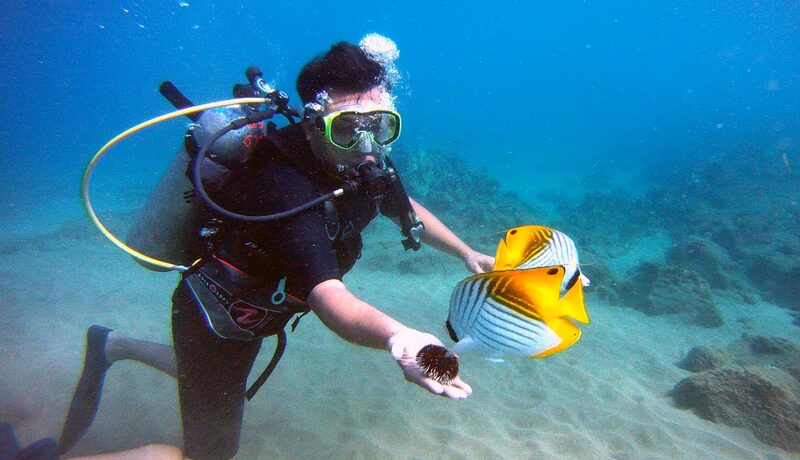 You will be ready to explore Maui’s waters on a supervised ocean beach scuba dive. Learn to surf or stand up paddle board off the shores of Maui. One and a half hour lessons are offered daily at Kaanapali beach. This is a private charter that takes you to two great Maui dive spots. Scuba on pristine coral reefs with an abundance of tropical fish, a variety of colorful corals and the endangered Green Sea Turtles. This is a private charter to Lanai’s world-renowned Cathedrals. Formed by cooled molten lava, it’s a magnificent underwater feature to explore. 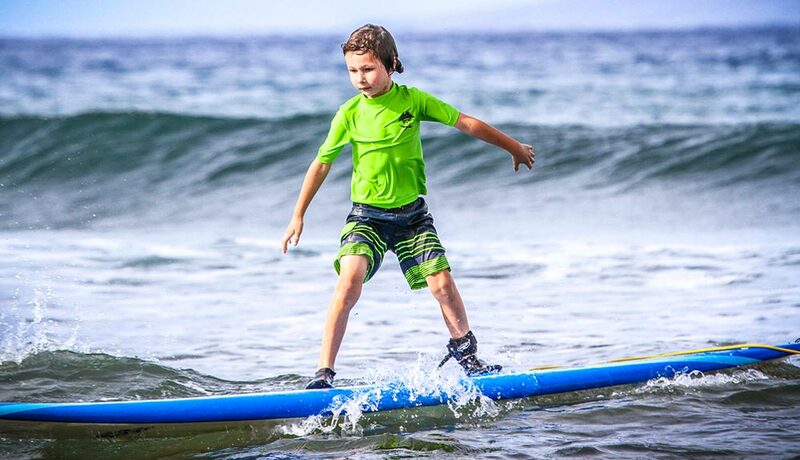 We specialize in beginner surfing lessons for ages 5 years old and up. Our small class sizes (6 guests) allow our instructors to give each guest proper attention and guidance. We also offer semi-private and private lessons for those who prefer a more individual group lesson or a one-on-one surf lesson with an instructor. One and a half hour lessons are offered daily at Kaanapali Beach. Stand up paddle boarding is one of the world’s fastest-growing sports that’s great for people of all ages and skill levels. Within an hour and a half, we can have you up on your boards enjoying the beach scene as you leisurely glide on Maui’s waters. Give stand up paddle boarding a try, it’s fun and also a great workout! Island Scuba offers ocean beach diving twice a day as well as introductory scuba diving lessons for beginners with our Discover Scuba Dive Program. Our ocean beach dives and dive lessons can take place at locations island-wide including Turtle Reef, Black Rock, Makena Landing, Mala Ramp. Become a certified diver by participating in our PADI, and NAUI scuba diving certification classes from the entry level course (Open Water Diver). Referral dives to complete any part of your certification class. Sign up for PADI eLearning classes now. Island Scuba also offers our customers a unique selection of scuba diving services. Of the many options we offer, these are some of the most popular choices. Certified scuba divers can join us for 1 or 2 tank boat diving to the island of Lana’i, or Molokini Crater. Snorkelers are also welcome on board the diving boat. You may join us for a scuba, snorkel, snuba, sailing, whale watching or dolphin adventure on board our custom dive boat.